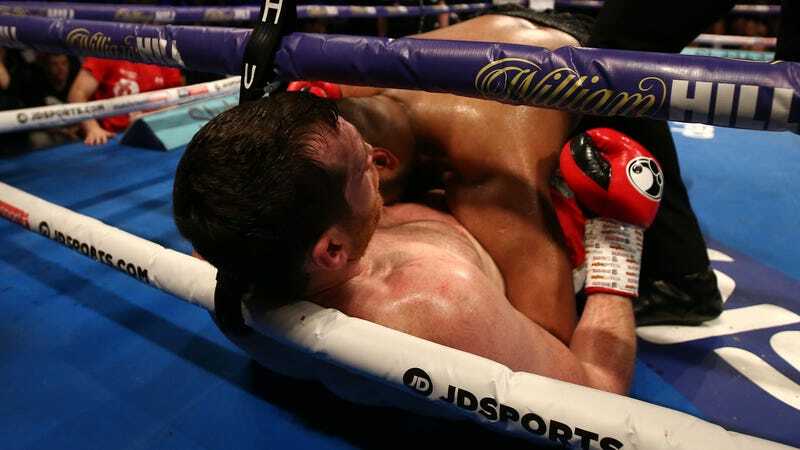 Unbeaten British heavyweight Kash Ali got DQ-ed from his bout with David Price on Saturday, picking up his first loss in the fifth round because he inexplicably decided to bite his opponent while tackling him in the ring, neither of which you are allowed to do in boxing. The attack left a visible mark on Price’s abdomen, and his victory was awarded immediately. The crowd in Liverpool was furious with Ali, and as he exited, he had to be protected by several security guards while fans pelted him with concessions from all sides. “I think just the build-up to the fight- It’s my first time boxing on a big stage, I was so pumped up I just wanted to fight. The street mentality just kicked in, it was stupid. “As mad as it sounds, when I ended up on top of him, boxing went out the window. But Price, who had also complained that Ali’s had bitten him in the third round, wasn’t in a forgiving mood.